Product prices and availability are accurate as of 2019-04-17 17:54:21 UTC and are subject to change. Any price and availability information displayed on http://www.amazon.com/ at the time of purchase will apply to the purchase of this product. 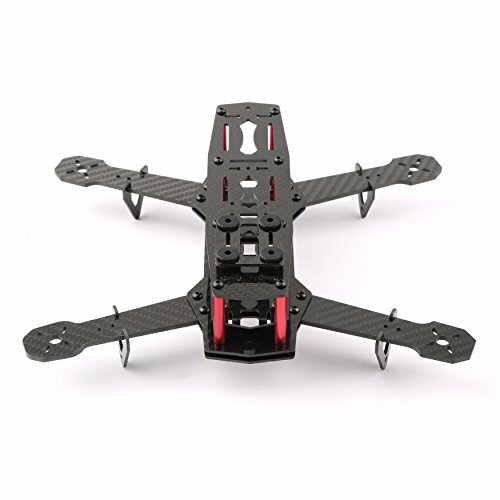 The YKS DIY Full Carbon Fiber Mini C250 Quadcopter Frame is characterized by its lightweight, small size, long lifetime and great intensity. 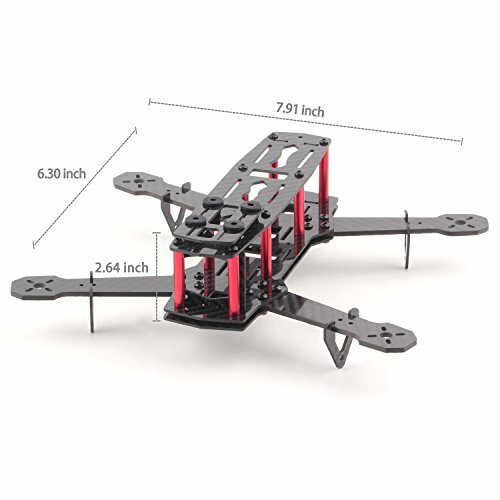 Its 1.5mm fuselage and 3mm machine arms can effectively reduce its vibration during flight, guaranteeing the flying ability of the Quadcopter. The whole fuselage reserved with plenty of space which can easily fit for your FPV and neatly tuck away all the wires. As its compact design with small number of components, it is specially designed for the new player and also perfectly suitable for the senior players to professional DIY. Made from full carbon fiber: Ultralight & great intensity. 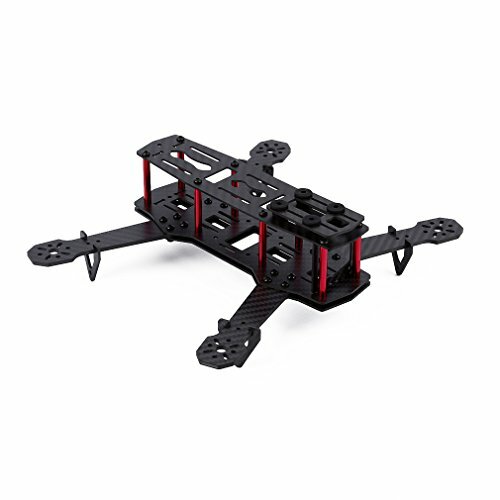 Reserved with plenty of space: Easily fit your FPV and neatly tuck away all the wires. Equipped with rubber damper: AV shockproof ball, high quality and strong ability of shock absorption. Super strong & smooth flight: 1.5mm full carbon fiber fuselage and 3mm machine arms effectively reduce vibration during flight, guaranteeing the flying ability of the Quadcopter. Suitable for both beginners and senior players: Compact design with small numbers of components, can be easily assembled.